Adjustable legs and simple locking. Simple for a surveyor to set up and take down. 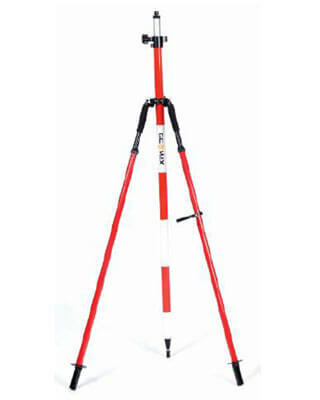 Can be used with a freestanding prism pole or GPS pole.